Not only does every Shonen series in circulation have an almost uncountable number of episodes under their belt, with more set to come, but they also have a handful of story-branching movies to go along with it, Naruto is one of those series’ and considering it’s been going for many years I can’t say any of us are really surprised by this. Year after year we’re given movie after movie, some of them are actually pretty good, others seem more like extended episodes rather than full movies. I have to give it to the show-runners of these series’ because every time they branch off the storyline into something that is meant to fit into a movie they try their very best to make it different, unique or even slightly interesting, it doesn’t always land but when it does…it does it well. One dark night, the Raikage and his small team are attacked by a mysterious and deadly ninja who reveals himself to be none other than our hero Naruto Uzumaki. Back at the Hidden Leaf village, Tsunade (the Hokage) calls a meating with Naruto and Team 7 wherein which she explains the situation to Naruto. Shocked because he obviously didn’t do it, Naruto has a bit of a freak out, especially when he’s told he’s being sent to one of the highest security prisons in the known “Naruto” universe; “Hozuki Castle”. The warden there, a man they call Mui, has an interesting an highly-convenient power that can “seal” a shinobi’s power stopping him/her from being able to use his/her chakra. It also prevents the victim from escaping from the island; not only is it surrounded by deep, dark water but getting too far away from Mui will actually set a sealed ninja on fire, killing them in the most painful way possible. Naruto is sent to this prison for crimes he didn’t even know he committed but what makes it worse is that he finds himself caught up in some sort of clan “conspiracy” that revolves around a magical box that can grant wishes. 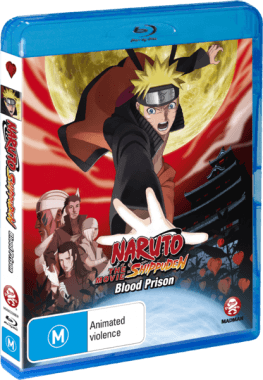 Naruto, alongside his new prison friends, must figure out just what is going on and just how to stop Mui from opening up this supernatural box and unleashing his devious plans on the world. Basically this movie is one massive filler episode. It’s chock full of brand-new characters, some with abilities so specific that they can only really be relevant in this particular film. One character has a “life transference” power which, as you may have already figured out, comes into play later on in the film for one “cop out” of a final scene. This story was basically a “Naruto” version of “Shawshank Redemption” but with the addition of a powerful ninja box that could grant wishes. Unfortunately this movie had the same course of action as every single other “Naruto” movie and it pretty much ended up the same way; it wasn’t a bad film but it wasn’t a good one, it was just a “Naruto” film. Every “Naruto” film has, essentially, the same story layout: Naruto goes about life as normal as he can, something bad happens to some other ninja, Naruto gets thrown into mix because of some generic reason, something bad happens, the world is in trouble and Naruto is the only person in the land of ninjas that can save the day. I do have to say; the story does get good near the end but there are certain plot holes that should NOT be present in the movie. 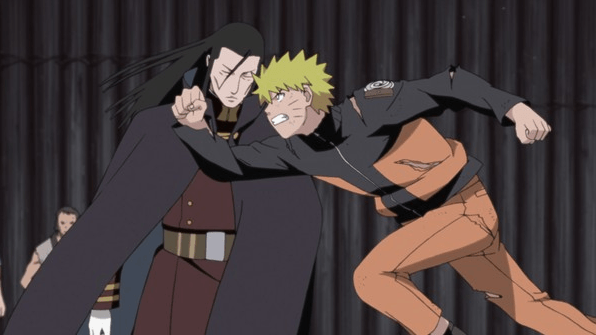 The film was developed by the same studio and staff that have been working on the series since it was first released all the way back in 2002 so, as you can imagine, it looks quite similar to the way the “Naruto Shippuden” series looks now. The film is set outside of the Hidden Leaf village and in a place that we’ve never seen before so it was quite exciting especially because I don’t believe we’ve ever been shown a prison in the show. 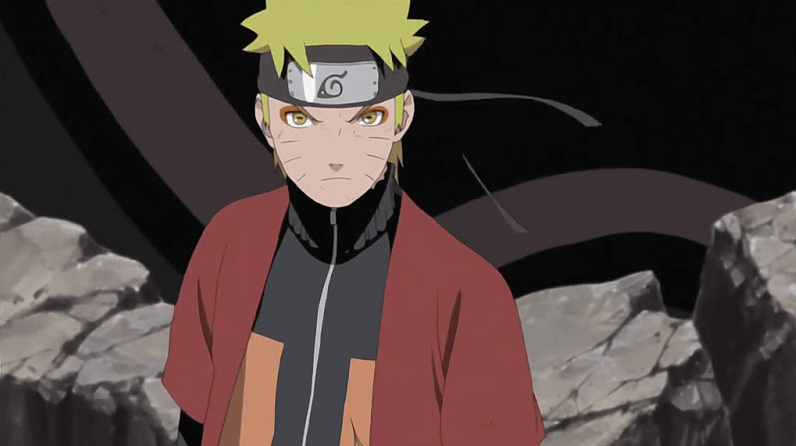 The way it was designed was actually very nice looking and fit the odd and conflicting style of “Naruto”. The prison cells were designed almost like wooden crates in a very traditional Japanese style but the buildings within the walls of the castle almost resembled modern sky scrapers creating a nice comparison between ancient and contemporary architectural styles. The animation, for the most part, was standard; it wasn’t terrible but it wasn’t fantastic though, during certain scenes, the animation quality does get a huge bump up making for some absolutely brilliant scenes of action and intensity. The escalation of the film’s events really allow for the animators to run wild. In some cases the characters didn’t even look like that of “Naruto” ones, they looked strange but ultimately great. Some of my favorite scenes were the ones where Mui (the warden) was shown to have a twisted visage; eyes widened, mouth agape and a look of pure intimidation plastered on his face, these scenes worked as true testaments to the high animation level that was achieved by the end of this film…though, there were some areas throughout that were plain boring or looked as though they weren’t entirely well-animated but they were few and far between so it wasn’t necessarily an issue. 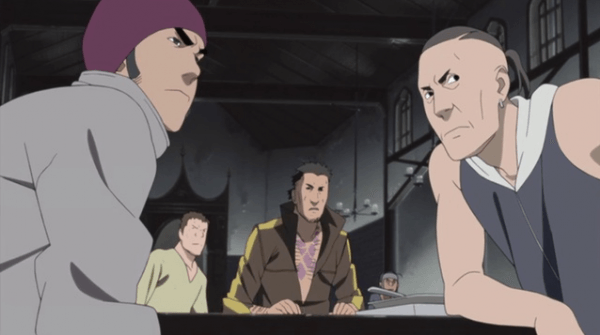 “Blood Prison” sticks to the same musical format that the series has always followed: The soundtrack is mostly made up by songs composed with traditional Japanese instruments to give that “authentic” ninja feel…if there’s such a thing. Occasionally they’ll throw in a bit of guitar shredding to put emphasis on a scene but, for the most part, they stick with the typical use of the “Koto” and other instruments like it. Fact is; that musical style fits the “Naruto” series perfectly so it’s obvious that the development team would make the decision to use similar tracks for the movie. Even in saying that, I can’t honestly say the soundtrack was that memorable. Despite the fact that it fits, it’s still a constant in the “Naruto” film and TV series so it feels almost like a “copy and paste” even though that may not necessarily be the case. The voice acting in the film was held up entirely by characters only introduced for the film. 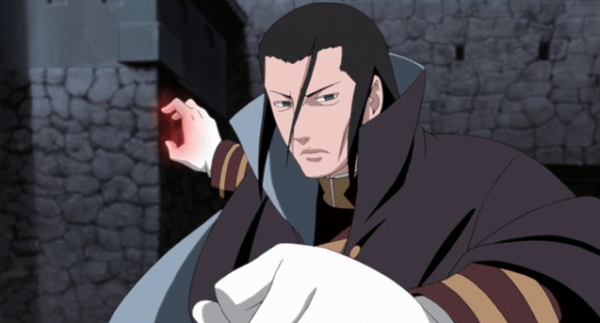 Naruto was by far the most lackluster sounding character in the movie but luckily it was populated by a bunch of new characters who had some great voice actors and actresses…if only the dialogue allowed for them to truly shine as masters of their art but unfortunately that wasn’t entirely the case. The cast were good enough at their job to make the characters sound good despite the silly writing but I could only imagine how good they would have sounded had the script been at a higher caliber. 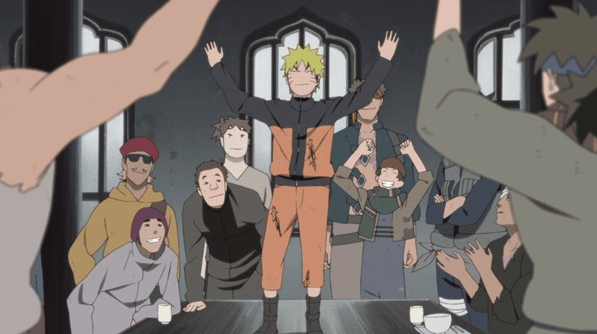 By the end of the film you definitely got to see the cast shine but they were quickly brought back down to Earth by another long-winded speech by Naruto regarding love, friendship and all the themes that are present in every single piece of “Naruto” media. I was actually quite surprised to see that the “Naruto Shippuden Movie 5: Blood Prison” release came with some pretty quirky and cool extras. The movie came with most of the regular extras like movie trailers, other anime trailers and an art gallery which just showed the character of the movie but it also came with a couple extra features, one of which is actually a mini-movie. Fans of the Japanese voice cast will be excited to know that the release comes with an interview with the voice Naruto Junko Takeuchi. It also comes with a message from the creator of the series himself Masashi Kishimoto and, as mentioned above, a mini-movie titled “Chunin Exam on Fire! Naruto Vs Konohamaru!”. If you’re a fan of the “Naruto” series than you’ll absolutely love this movie. If you’re a fan of anime that enjoys a well-rounded story with some interesting character types than maybe this movie isn’t entirely for you. Having a deep connection to the character of Naruto is definitely a prerequisite for enjoying any “Naruto” movie, without that it just seems like a strange and badly-written anime movie that almost falls flat but luckily is held up by a nice aesthetical style and copious amounts of ninja-style action. If you’ve enjoyed every other “Naruto” movie in the film series than I can’t imagine you disliking this one, it actually isn’t too bad but there are deffinitely little things here and there (especially throughout the story) that help you to remember this is just another “Shonen Jumps” anime movie. Still, at the end of the day, it’s a nice little movie that you can throw on and watch while doing something else and still fully understand it so I say just give it a try. You most likely wont regret it.